These Best.Day.Ever! 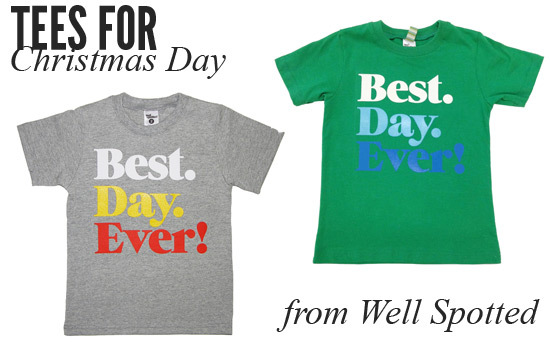 tees from Well Spotted would be perfect for Christmas Day and are guaranteed to get plenty of wear throughout the year too. Designed, made and screen-printed in Sydney. Head to the Well Spotted website to pick one up (from $35.00).